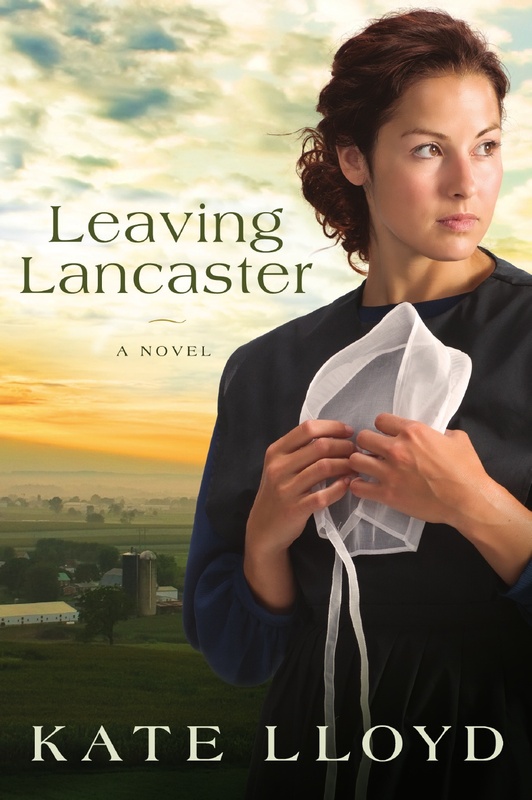 Do you know author Lisa K. Winkler? I have worked as a journalist and an educator. I wrote “The Kentucky Derby’s Forgotten Jockeys” for Smithsonian Magazine's website, www.smithsonian.com. (April 24, 2009). Two essays have been published in anthologies: “I’m Going to College- Not You! : Surviving the College Search with My Child.” (St. Martin’s Press, 2010), and “Knit One, Purl Two: Life Lessons from Knitting” in Wisdom of our Mothers. (Familia Books, 2010). A newspaper reporter before becoming a teacher, I write for professional journals and for Education Update, a newspaper based in New York City. (www.educationupdate.com). My interviews include authors, college presidents, scientists, and artists, among others, including Miles Dean in February 2009. I met Dean while serving as an educational consultant in Newark, NJ public schools and interviewed him for many months. I hold a BA from Vassar College and an MA in Urban Education from New Jersey City University. I have three children, three grandchildren, and love yoga, cycling, knitting reading, writing and cooking. Lisa, what was the inspiration for your latest work of non-fiction? As a teacher, I’ve witnessed how young people know little of history. In urban areas, youth learn about slavery and Dr. Martin Luther King, Jr. and a few more facts during February, Black History Month. Yet they have little if any connection with these historical figures. When I began my own reading after meeting Miles, I became fascinated with these people whose contributions to the development of the US are largely unknown. Most adults haven’t heard of these people. American history needs to include all races and genders to truly demonstrate who built this nation, their struggles and sacrifices and stories. From my research, I couldn’t find any records of other African Americans who have ridden a horse across the country in modern day, with this purpose in mind. A cross-country journey in itself is a story. I loved the idea of this young boy growing up watching western movies and television shows and dreaming that he too could become a cowboy. I read a lot of books that I found in libraries or bought. These included biographies, geography and books about horses. I consulted maps and also interviewed some of scholars Miles met on his journey. I poured through the Internet. I read Miles’ website and transcribed his podcasts he arranged with the Star-Ledger and interviews he conducted with people he met. I enjoyed reading about the black jockeys the most. Yes. While completing the Educators Guide for this book, I decided to create an anthology of blog posts and have invited other bloggers to participate. The response has been enthusiastic. It’s fun to have another “project” in the works, that’s very different from my book. Sounds like a very interesting project. Do you have any advice for beginning writers on how to write a non-fiction book? Do you have any advice for them regarding promoting that book once published? With any writing, you have to be passionate and committed to the process. With non-fiction, I think you have to truly become obsessed with the subject to create a book. It’s not like fiction—you can’t make it up! That said, I also believe it can happen—just don’t give up! It takes tons of patience, fortitude and sometimes luck to get published. With self-publishing there are many options to get your work out, but it’s a very tough (and can be expensive) road. Believing in your story is paramount. If you have passion for it, others will too. Also, there’s no “quick fix.” While an occasional book might sell hundreds of copies the first week, thousands the first month and so on, most don’t. I believe marketing really becomes a personal adventure: why would someone want to read my book? I view it as my journey: one sale, one reader, one book at a time. If you care about the book, you have to put effort into marketing it. Some of the best advice from an author I've heard in a long time. So true that if you have a passion for your work, others will too. What’s your writing schedule like? When do you find time to write? I’m best in the morning. I try to be at my computer by 5:30 or so and get something accomplished by 7. Then I have to eat breakfast. Then I try to exercise and then get back to work. Of course that routine is broken most days. I try to fit it in whenever I can. Now that the book is done, I’m less strict. Having a Blog: Cycling Grandma (also accessible via my website) keeps me disciplined. I try to post twice a week. I had submitted my book proposal and sample chapters to over 100 agents. After researching self-publishing, I felt this was the way to go. I’m not unhappy with my decision. I did have a professional copy editor and book designer and that made a huge difference in the book’s appearance and quality. Yes! But I think also surprised that I became so obsessed with writing this book and actually saw it through! A bunch of friends came to my first book talk and it made me feel immediately relaxed. Support of friends and family is so vital to authors. I'd love to hear about your book, Black Cowboy's Ride Across America. Growing up black in Brooklyn, Miles Dean wanted to be a cowboy. He galloped through the streets on his bicycle, ambushing outlaws on street corners, imitating the heroes he watched in television westerns. More than three decades later, he rode Sankofa, his 12-year-old Arabian stallion, from the African Burial Grounds in lower Manhattan, to the California African American Museum in Los Angeles. Dean, a Newark, NJ schoolteacher, used an unpaid leave of absence to follow his childhood dream: his 5,000 mile- journey through 12 states took six months. Conceived to celebrate the contributions of African Americans in US history, this inspirational story brings the reader into large cities and small towns, connecting with the horseback ride and the many people Dean met. Through his daily regimen of riding his horse, the reader witnesses the physical and emotional discipline required to complete such a journey. I met Dean while working as an educational consultant in Newark and believed Dean’s mission and message would make a compelling story. On the Trail of the Ancestors: A Black Cowboy’s Ride Across America will resonate with animal lovers, horsemen and women, armchair travelers, and with educators, parents and young people who are part of the African American community or connected with it. It’s available via my website, on Amazon, and other book stores. Lisa, thank you so much for guesting today. I enjoyed chatting with you and learning more about you and your work. Hope everyone can stay to visit with Lisa. What's the most important task for writers? Set goals. There are three types of goals—immediate, short-term and long-term. Once you figure out exactly where you want to be, the journey towards getting there becomes a little bit easier. Make a decision. Decide to write each day—even if you only write in your journal, you need to flex your writing muscle every day. It’s how you grow as a writer and you don’t allow your skills to get stale. Be Flexible & prepared. Obviously, there will be days that you don’t accomplish each writing goal that you set out to finish. Be open to stretching those writing muscles so you don’t pull a muscle by too much rigidity in your mindset—not allowing for failure. Forgive yourself when you don’t reach your goals, but then get your but back in gear for a new start the next day. Deflect distractions. True, we won’t be able to rid ourselves of all distractions—unless of course, we decide to get stranded on a deserted island and write all day long…and even then, I think we’d find a way to distract ourselves! Set a specific time during the day where you can write and not be interrupted. If you write better in the morning, pick that time or in the evening etc., whatever works well for you. Welcome accountability. This is the one factor that we may not like—however, it will most likely help us the most in our quest to finish the next great novel. Find an accountability partner. Maybe it will be your spouse or best friend or fellow writing buddy. Whoever it is, you need to find someone that you trust to be patient with you, but also give you that push you may need to get back on track. Re-evaluate the plan. Don’t be afraid to reassess the situation—think of it as a necessary evil. Not many people like to get tested on performance, but if you truly want to succeed, you need to always be open to evaluating your progress. This process is hard for me, but I’ve learned to take a step back and assess the situation. Regroup & continue. Once you’ve assessed the situation and realized what’s working and what isn’t, take a breather and then get back to work. Just as with exercise, when you stop for a while, it’s more difficult to get into the routine again—but once you get back on track, you feel rejuvenating and energized with your progress. If you’re flexible and ready to work hard, you’ll figure out your own rhythm and what works best for you.